The Mohinani Group is a renowned manufacturer in plastics and packaging products, main distributor in consumer durables, electronics, electrical products, retailer in office automation, tyres, building material, and international trade in polymers, chemicals and commodity raw materials. This Indian-owned business is employing over 3000 people in its multi-sector operations across various industries. The group has a key position within its respective business segments across several countries on the African sub-continent from Ghana to Kenya, as well as in international trading & service centres such as Hong Kong, London and Mumbai. Key clients and suppliers rank amongst some of the largest and most credible companies in the world, such as LG Electronics, Exxon Mobil, Unilever, P&G & Coca Cola. Managing a large amount of workforce has proven to be a challenge for Mohinani Group and they have deployed a clocking system to assist them in that area. Unfortunately that installation was not able to meet their various HR policy and reporting requirements. 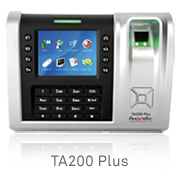 Upon consultation with Trakasol, FingerTec reseller in Ghana, Mohinani Group agreed to deploy with biometric fingerprint solutions. Total installation so far is 25 units of TA200 Plus Wi-Fi and 5 units TA500 2pcs for 1,500 employees. 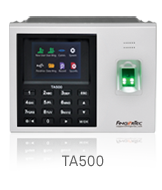 Biometrics solution from FingerTec automates attendance data and the staff do not need to carry any keys or cards to work and the attendance is genuinely honest. Mohinani Group is pleased with the entire system because deriving attendance data for payroll and HR matters are not a problem anymore with FingerTec’s complimentary software, TCMS V3. Mr Kwame Dahlenton, the Managing Director of Trakasol couldn’t be happier to have Mohinani Group to be one of their growing clientele lists.